Hay Dairies goat milk is fresh, pure and highly nutritious. It is absolutely natural and contains no additives. It is an ideal alternative to human milk and can be used for cooking. 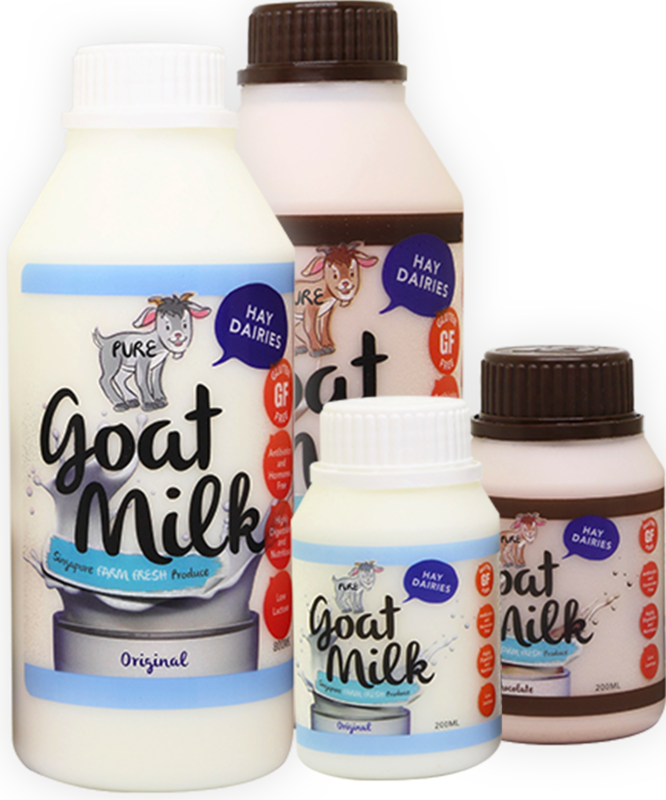 Goat milk is suitable for people with lactose intolerance and those who are allergic to cow milk. Numerous scientific studies show goat milk to be beneficial for health of people of all ages. Goat milk is known to be more easily digestible compared to cow milk. Its fat globules are smaller than cow milk and lacks a protein agglutinin. Goat milk contains a broad range of minerals and vitamins as well as the nutrients found in most milk. The fatty acids in goat milk are much more digestible than in cow milk. Alpha-s-1 casein, a protein that is a major allergen in cow milk is about 90% lower in goat milk. Reaction to cow milk protein is the most common allergy in childhood and infants allergic to cow milk are at risk of developing inflammatory bowel disease, asthma and eczema. Milk is undisputedly the best source of natural calcium. Research shows that calcium supplementation (pills, fortified substitutes like soy, rice, almond) increases greatly the risk of cardiovascular diseases such as heart attacks and strokes because only fraction of calcium from the supplements is absorbed into bones while the rest tends to be deposited in the blood vessels making them rigid and prone to damage. A bottle of 200ml goat milk provides approximately 260mg of natural calcium and is easier to absorb as compered to supplements. Studies have shown that goat milk can provide additional benefits because of its anti-inflammatory and anti-allergic properties. Inflammation appears to be a culprit of most modern diseases including cardiovascular and cancer, thus goat milk is a great addition to the contemporary diet with its anti-inflammatory properties. Goat milk oligosaccharides are not only useful in managing inflammatory bowel disease, but appear to heal intestinal mucosa. Goat milk can have cardio-protective effects and prevent buildup of fatty deposits in arteries, while it helps to maintain immune homeostasis in immunocompromised people, for example elderly. Goat milk tends to have a better buffering ability and is good for treating stomach ulcers. Fresh goat milk is wholesome and is consumed by people of all ages. It has a number of advantages over cow milk and definitely offers a great alternate choice for consumers in Singapore. We value your feedback and it is important to us. 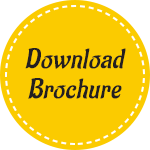 Please fill in the form below to give us your thoughts on our products and services.